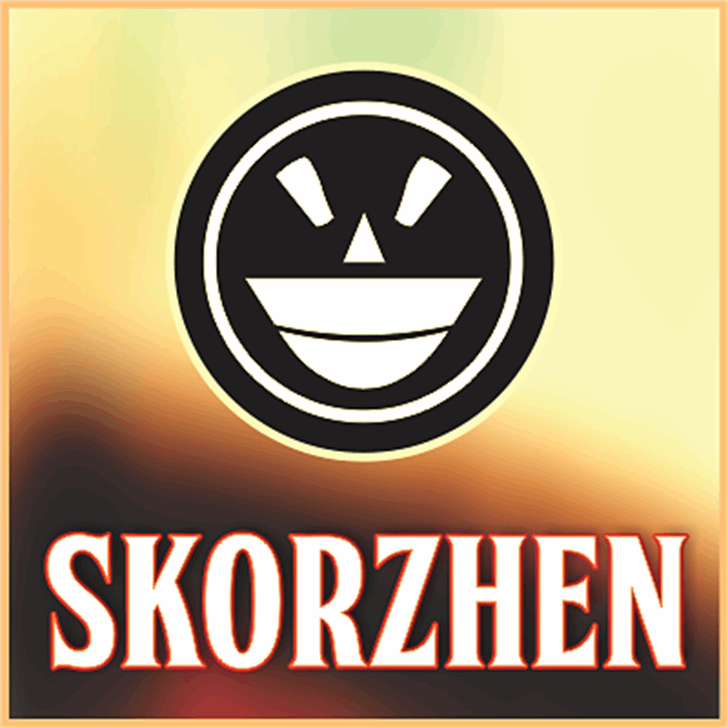 If you would like to use FTY SKORZHEN "as-downloaded" in freeware form for COMMERCIAL use, please donate any amount -- not expected to exceed $5 US -- to the designer using the DONATE button on this page. At one time very recently, serifs were lost to the design sinners of the world. Now see them found again. Unearthed and rediscovered. Retribution is not far off. We have been unchained from the belief that gothics have provided us no way back from a lack of variety and interest. Spur serifs have re-emerged. 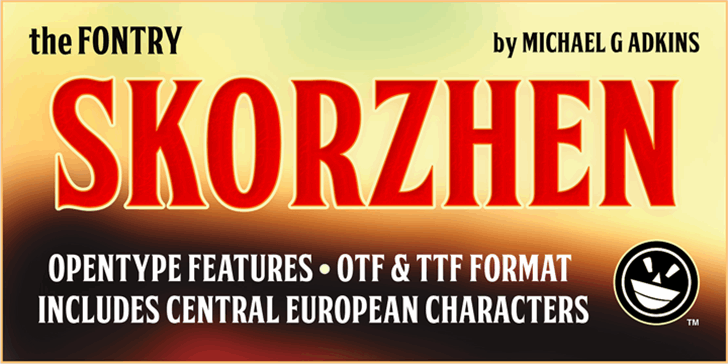 The commercial version of FTY SKORZHEN comes with a complete lowercase range of characters rather than the duplicated uppercase range applied to the lowercase keys as typically provided in the freeware version of The Fontry's fonts. Secure payment and immediate download is provided by Paypal and Payloadz. Thanks, I really need this font for my homework! Copyright (c) 2013 by The Fontry. All rights reserved. FTY SKORZHEN NCV is a trademark of The Fontry.